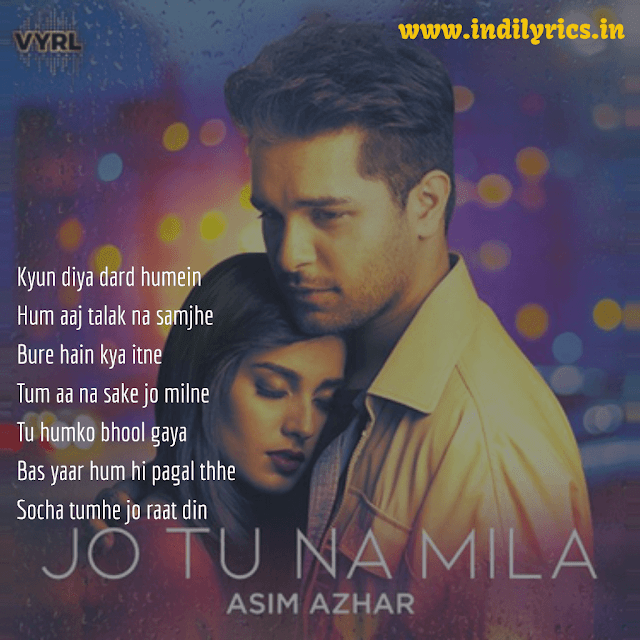 Jo Tu Na Mila Mujhe Full Song Lyrics with English Translation and Real Meaning Explanation from latest Single track by Asim Azhar. The heart breaking sad song is composed by Asim Azhar, Kunaal Vermaa penned the Lyrics, Asim Azhar sang this song with his soulful voice. The music is available on EMIRecordsIndiaVEVO. The Audio mp3 version of Jo Tu Na Mila by Asim Azhar is free to download from Gaana, Wynk Music, Saavn and other leading online music portals. The music video of Jo Tu Na Mila stars Iqra Aziz & Waleed Khalid.